A stunning and cutting edge designer wall clock in a large spiral design, randomly set with numbers, leading to the clock face. Set with a contemporary black metal with a small elegant glass face. 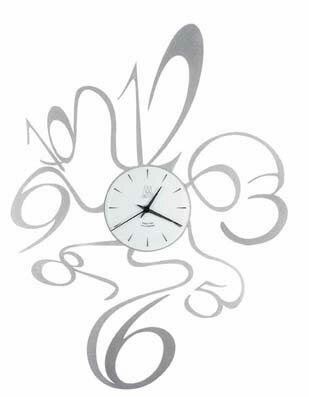 The clock is a massive 63cm in width and 74cm in length - a great statement for any room or office! This really is a great piece of Italian craftsmanship. Requires 1 AA battery (not included).